Even classic business presentation can be enhanced using big fonts and interesting pictures. This WordPress Theme can be used for company websites, project presentation or product microsite. It was developed as a first theme for our Club. Design works very well with animated pictures and icons. Make your own story that will fascinate your visitors. Take inspiration from 11 beautiful Homepages we created. Typo is a responsive multi-purpose WordPress theme that includes 19 Standard Elements and 11 Business Elements. You can in fact make any website using this theme. Minimalist design will make your website always looking professional. You can use it for company presentation, product microsite or even special site for events. You can also present your services or your creative portfolio. Case studies with photos and videos will surely look professional and neat. You can also use this theme to sell your products or services. Theme is integrated with WooCommerce shopping cart plugin. Did we mention that everything is already translated to 16 languages? You and your clients can administer your website in you own language. Portfolio element can be used to present your projects, products and services, art, customer case studies, categorize your photos or even to create video gallery. You can make a highly professional portfolio without any programmer, without coding knowledge by yourself in a few minutes. It includes handy filter and order feature. You can use various predefined look & feel layouts or even create your own. Anyone can do it. Simply upload your picture add some text. Description text can be separated into logical structures you can define yourself. You can for example add more information about your project, budget used or requirements. But not only that. You can also add more photos and even videos that can be played directly from your website. Every portfolio item can be assigned to one or more categories that you defined. That way you can display different portfolios on different subpages. Simply drag & drop Portfolio element in the Page Builder and select required category. You can full control over everything. Portfolio can be placed inside sidebars or full width. You can configure how many columns it should have and what should be the image proportions. Do you have a lot of portfolio items? Turn on filter and customer can only display items that is interested in. You don’t need to contact any web designer if you need to do any of the above. Company event, trainings or product presentations. Event for your customers, fans or even public. Seminar, product testing or anything big or small that needs attention. You can also use it to promote party, anniversary or even wedding and fundraising or public meeting.Everything on your website will look professional and be as a part of the whole presentation. It’s easy to attach presentation image or icon. Dates of the event and description text. Categorization comes as standard. Events element is very useful for inbound marketing. Your website is you main communication channel with your customers. All content will always be useful and interesting. Visitors love to read stories, they don’t want to miss something. Set up title, description and event date on dedicated page. You can also add it to the category. You can place events anywhere you like. It can be placed in the column or it can be full width. Events can be displayed in list or box view, you have control over carousel and how many items you'd like to see. Turn your visitors into customers. Price table element allows you to create nice summary of product or service features. Customers can clearly see what differences are. Set up the price and call-to-action button. You have control over everything. Our tip: Identify most important parameters of your product or service. Based on that, make a detailed list of differences between offered products or services. It’ll make your offer clearer for your customers. You can also add a nice icon or even image to make price table look more professional than the common price tables. Break the barriers and make your website more personal. You can find Members section on all professional websites that take selling online seriously. Show your customers who’ll take care of them. Again it’s an easy to use the element in our user friendly Page Builder. You can assign each member of your team with a photo, position, icons to their social network and a short description. Are you a bigger company and have several teams? 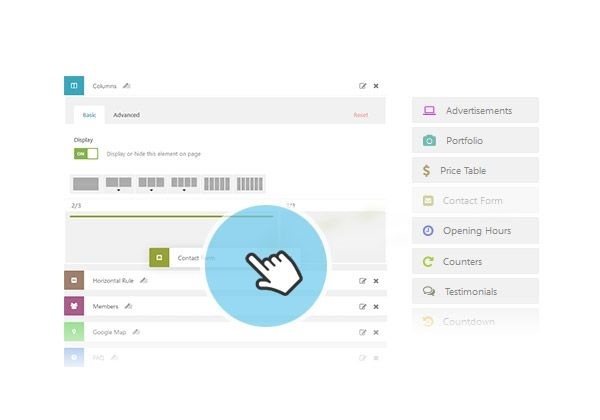 Make categories and show your staff members on different pages. You can show the whole team or one member only. You’ll define your members once and then use it anywhere on your website. You can full control over look&feel of this element. You can show it as list or box view, with carousel or grid. 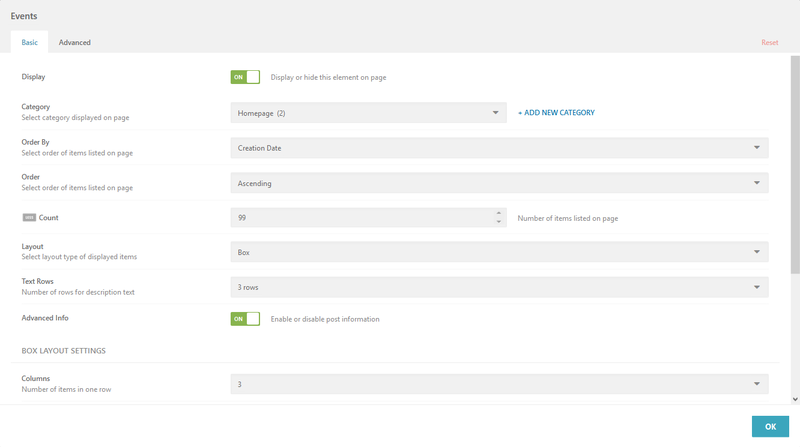 You can control image dimensions from the admin panel. Advanced settings allow you to change section background color or add a background image. Our themes are strong tools in your hands for communicating with your customers. It’s our goal to make our theme as easy to use as possible mainly for non-IT people. I like Typo theme, do I need server space at my provider to build my website? Can I purchase the theme, build my website and test it on my local PC or do I need to have it on the server? What are the steps from purchasing the theme until I can use it, add texts and images? We are searching for a theme website for an Hotel. I saw you had a good one with HOTELIOUR but I would have prefered some thing more artistic for our HOTEL like your RETRO one or even your ANCHOR one. My question: is it possible to take theses websites templates and adapt them for an hotel with a reservation plugin + a room presentation ? Thank you for your message. Our Anchor theme has fully styled easyReservations plugin, you can install it and start using. Regarding Typo or Retro themes, you can also use there easyReservations plugin, you might need to style it a little bit, but reservations plugin will definitely work there. Hope that answered your questions. My team and I are currently looking to build a multilingual ecommerce site. We really like Typo but have a few questions! Would we be able to build our English pages first and then duplicate the layout so that we wouldn’t have to rebuild the French pages from scratch? Also, are we able to have a language button so the customer can switch from an English page to a French page with ease? Any help would be greatly appreciated!! Thank you! 1. You can import page builder settings from one page to another that means you can create homepage in English, and then copy everything to French. 2. Yes, exactly like on http://www.ait-themes.club, our website is running on one of our themes. 3. Yes it would be possible to do it, but for SEO purposes it’s not very recommended. I have the same problem than Cal, I need to put a button \”spanish/english\” in orden to switch languaje, but I can´t find where to do it. Feel free to ask on our support forum. Our trained support staff will help you with your website. how ae you? Plan to buy it, but have pretty many questions about Typo theme. 1. After I buy can use it on as many different domains as i wish? 2. Want to make multilingual site, but main language is Estonian and it is not on the list. Can translate theme admin? 3. Do theme includes demo content? 4. Can use instead of this blue dot on menus my own image? 5. Can use icons on menus? 6. Can use smaller font on menus? 7. Does this slider images and effects are included in slider demo content? 8. Can use narrow homepage…not only full width? 9. Have you tested this theme on smartphones that useses Windows OS? (Nokia)? Some of your previous themes are not responsive with it. 10. These pics on homepage (1 minute set up, sidebar manager and etc) can easily add my owns? 1. Yes, you can use the theme for unlimited time and unlimited websites. There’s no limit. 3. Yes, you can install it simply by clicking on the button in our admin panel. 4. You can do it in Custom CSS, there’s no option for that in the admin panel. 7. Images used on our demo sites are not included in the packages as all these images are proprietary and we cannot resell them. 8. Yes, no problem with that. 9. We don’t have Windows phone in the office to be honest, but we’ve tested our responsive framework one one phone and it was OK.
10. Sure, you have full control over that via admin panel. Thank you for your message. I can see that your subscription has been activated yesterday (16th of April). Please log in to your account, you can download the theme from there. hi, im interested in theme Typo, is it possible to change the colour of the theme and can the logo be easily changed? yes, the theme is built with page builder which means it’s possible to change the color and the logo without knowing coding or CSS. Please check some website for your inspiration at: https://www.ait-themes.club/showcase/ . After choosing Typo category you’ll find some examples. Is it possible to change font family in admin easily, or do I need to change css style file? I want to inquire about the drag and drop page builder you offer with the typo and langwitch themes. Does this page builder have the abilty to create an element on the page and insert a widget from wordpress like say the recent posts widget? I have seen many drag and drop plugins and editors and very few have this abilty, just making sure this will be a one step solution before i purchase your theme. thanks for asking. Yes, we have such a ready to use element called Widget Area. 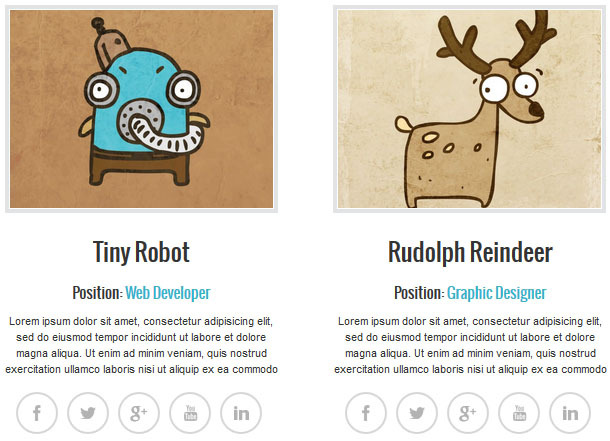 Therefore, You can create unlimited widget areas and use them anywhere on your website. Widget areas can be included into content. It’s excellent for 3rd party plugins integration. Have a nice day! Zlatko. Sorry but one more thing about typo and langwitch. Do these themes have the option for a menu location on top of the header as well as below? I see only a menu at the base of the header on both. thanks for asking. Yes, you can turn of menu in header or in footer. After purchase theme you can contact our support forum with any kind of theme issue. I’m looking at your Typo Theme + Multilingual package to give fresh look at my Website. I’m not sure if I’ll get the business elements as well as the standards elements for the 125$ package. I’m interested in the Price Tables, Faqs elements mainly. Thank you for your help and consideration. thanks for interesting in our products. Yes, there are 28 elements designed and ready to use out of box. All of them are also shown in the demo preview page – main menu – elements. Price Tables and Faqs are included. could you please kindly show me similar templates used for this website http://www.sancovia.com ? I just kind of love the layouts, features and color. Your urgent response will be highly appreciated. Each of them comes with page builder, theme options, ready to use custom post types and elements which allows you to create website without coding knowledges. Should you be even interesting having your web site multilingual you can extend theme with AIT Languages plugin /no translation of back end or front end needed/. It mostly depends on design you prefer, and you can start building your web site imrpoting the demo content /with layout you can find in demo preview page, but without the images due to copyright/. I have purchased this theme. Where can I find help on this specific theme? thanks for purchasing one of our products. Please kindly post your theme-regarding question at our support forum https://system.ait-themes.club/ which will enable answer you to most efficiently. In the meantime feel free to check also our documentation. thanks for your warm words and compliments. Yeah, there are still a lot of jobs to be done, we are aware of it ;). I have a few questions regarding your Typo theme. iii) What is the difference between the Events functionality and the Events Pro plugin? iv) I understand that it is possible to translate menus, posts and pages. What about other theme elements such as events, prices table, members, testimonials, services? Can they be translated? Additionally, can we define different images and videos according to the language? v) Does the Typo theme come with any payment method? Or do we need to add a paypal plugin? vi) Finally, is is possible to use the Partners functionality more than once with different contents? We would need it to display customers and partners. Is this theme compatible with revolution slider, woocommerce and Buddypress? thanks for asking. Typo theme is compatible with RevSlider, WooCommerce. I am sorry, we do not perform testing on compatibility with Buddypress. Perhaps, it requires further theme customization. merhaba premium üyelik alacağım fakat temalarınızda video sitesi teması, blog magazin teması gibi temalar yok. nedne bunlardan yapmıyorsun? Good morning i’m using the theme Typo and I have a problem with the image size in Element Background: what is correct size to display the image responsive? I use the typo theme and I get trouble with the switch language option. I have already built two versions of my website (english and french version) but whenever I want to switch language to one to another, the other version just doesnt show up. I try fixing it with the “Theme admin” and “language” option but it does not work. Is this problem due to the theme ? Thank for answerig me as quite as possible. so i cant make the menu lowercase its always upercase any help? At first, you need to declare the font .. by default it is not present in the theme, you need to load it for example from Google fonts. J’ai acheté ce thème en octobre 2015. ne sachant que l’on allait créer une boutique. je viens maintenant de rajouter woocommerce mais la présentation n’est ni prise en charge par page bulder, et le site côté commerce n’est pas très présentable. pouvez vous me dire s’il y a dans la mise à jour du site une réelle avancé sur celui ci ? si vous avec un plugin à proposer ? ou dois je refondre mon site ? thanks for your message and for asking. It mostly looks like your theme is not up-to-date. The current theme version (supported) is v1.93. Therefore, please check it out as it is highly the main reason of some mentioned above issues you have encountered. Please kindly also note, that each of our products (except Lifetime membership) comes with valid access to support forum and an access to product updates valid for a 1 year. I’ve been googling the internet for some related information, but haven’t found anything as effective as what you have here. I must say i, need to improve my Tumblr layout. What do you utilize here? Hi. I downloaded the Typo theme for a new website. Just the free version as I’m not 100% certain that this is the theme for me. I’ve installed it but as I can see, I can’t really do anything with it unless I buy the plugin. What is confusing is that the full version of the theme is $59 and the plugin toolkit is $59. I assume the full version of the theme includes the plugin? Please kindly also note that Free version of the theme doesn’t use AIT Toolkit plugin: https://www.ait-themes.club/wordpress-plugins/ait-elements-toolkit/ (which means: no pre-made custom post types, no Elements to show them in Page Builder, search form without some functionality, no sidebars etc). All you can do with free theme version is setting of colors and some basic functionality, in fact theme is suitable for personal use only (not ready for commercial purpose, no technical support). I have a client with online courses. He is selling video courses as products. Is the Typo theme enabled with some eCommerce to sell products? If not can you recommend a theme of your portfolio. I just update typo theme and now i am not able to change the date on the events manager. THe popup with the calendar is not showing. Thanks for the help. I upgrade the wordpress version and all the plugins but this is not working for me. I also disable all the plugins to see if there was a compatibility with the plugins and nothing. the problem appeared when i upgrade the theme version. Can you have access t the previous of the theme. that version was working. My website is with so much problems because of the 1.117 typo version that i just want/need you to send me the previous version of the theme, please! I really don’t know what to do since every time i try to fix a problem is always a theme problem! thanks for contacting us back. The previous version is not available for the market as it is not more supported. Anyhow, our developers and designers will have a look at the issue you have described and once the bugs are repaired we’ll receive the new update. Thanks for your understanding and patience. I have the free version of the Typo Theme installed with content at a domain name. If II upgrade to the paid version and install it would I have a technical issue?